Happy Halloween my dears!! I really hope you have fun! I'm sure I will. I couldn't wait to share with you the my picks on the newest Essence Superheroes LE collection dedicated to NAIL ART!! Wooohooo! How that's not to love? 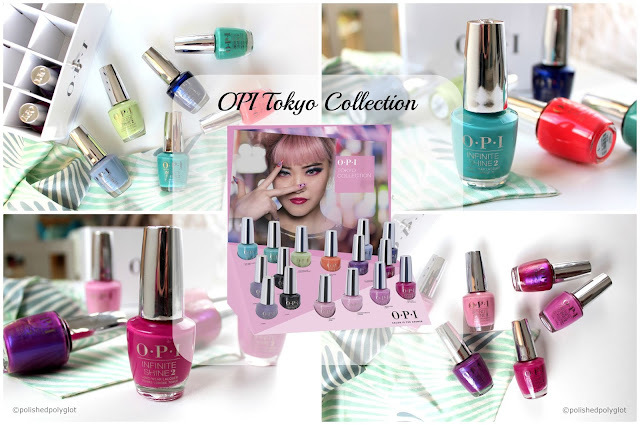 This collection features 6 LE nail polishes with different special effects. There is also a gel nail polish remover and several different nail art supplies including striping tape, nail stickers, loose glitter, nail art brush and a bling-bling pouch. You can see all the items here. See my swatches after the jump. Hi my lovelies! I hope you had a fantastic weekend and your batteries are fully charged for the new week! Today my nails are dressed with the colours of the Argentinian National Flag, because day 16 of the 33 days challenge is dedicated to South America and I was owing my beloved flag this tribute. Argentina's flag is a very poetic flag, because it emulates the bright blue sky, with the clouds and the sun shining in the middle. Hi my lovelies! how is your weekend so far? I've spent a very nice and fun Saturday so far, but the best part is yet to come, wii. I've been waiting like forever to share with you my Halloween inspired EOTD (eye of the day). 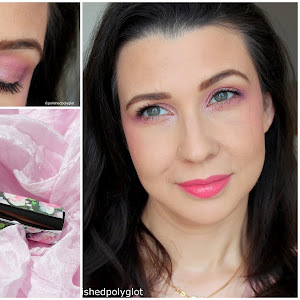 I recently got BH cosmetics hollywood palette and it has some really nice bold colours that seemed so suitable for halloween, that I couldn't help myself and created this look, I hope you like it. Today I'm showing you my tiger print nails for day 15 of the Crumpet's 33Days Challenge. This was relatively easy, and I'm very happy I didn't ruin it! wiiii! How are you? This is my second mani for the Tri-polish Challenge of October. If you are wondering about the rules for this challenge click here, and if you want to see the colours I chose for October click here. Day 14 of the 33 days Challenge is dedicated to Abstract nail art. I chose to go with some stamping and dots using of my favourite shades: purple, turquoise and green! Today is day 13 of the 33 Days Challenge and the theme is "Chinese". I tell you, I had a very hard time coming up with anything, and I really hoped one of my stamping plates had some chinese symbols, but I was not lucky! After much thinking I finally decided to go for a Dragon manicure! Hello lovelies! How are you doing? I hope you're enjoying your Sunday. I just wanted to share with you a look I've done using my new Catrice Arts Collection palette. If you missed it you can click here to see the complete review. I'm loving this palette, and I think I'm going to use it a lot this Fall. As I told you yesterday, this evening I'll go out with my hubby on a romantic date. So, when I was planning what to wear for the occasion, I immediately thought: red lips and nails. It was pretty simple choice because red is also my hubby's favourite. It was a good thing I had a voucher on Feelunique.com so I could pick this beautiful new lipstick from Dior: Rouge 999. Hello my lovelies! How are you today? I'm very excited because I've been waiting impatiently for this new Catrice Limited edition to be available since I first saw the promo pictures. Catrice The Arts collection is inspired by three different artistic movements: Art Nouveau, Baroque and Art deco, all very rich in colour and details. The Collection consists on three eyes and face palettes and three coordinated nail polishes. You can see all the items of the collection collection here. Unlike last year, when I picked the 3 palettes of Big city life collection, this year I couldn't justify owning more bronze and gunmetal eyeshades, or yet another gold nail polish. So the Art Déco palette and polish were out of the question. I'm still hhesitant whether I should pick the Art Nouveau set, or maybe just the polish. Finally, I only bought one the Baroque palette and nail polish which I'll be showing you today. Hello my darlings, how are you doing? Day 10 of the 33 days challenge is dedicated to Flowers! I love this theme, and I really hoped I could do an interesting manicure for today, but life just got in the way :( and as I thought I wouldn't have anything to post for today, I just went with the simplest nail art I could think of , that is nail stickers. I really hope you don't mind. Hello my lovelies! How is your Sunday going? I found a draft about a Versatile blogger award I received back in May (!) and I never finished to write, and of course I never published. Shame on me! 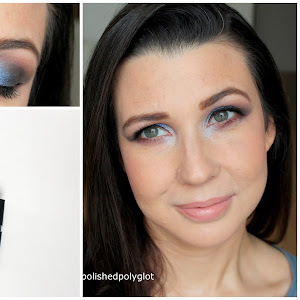 I totally forgot about it, and I want to make it up to the amazing Hetal from My life in turquoise (go check her blog, she has the greatest swatches!) who nominated me for this cool award, even if it is 5 months later. Thank you Hetal, and sorry fur the huge delay. Happy Friday my lovelies! how are you? Planning sth for your weekend, maybe? There's so many things I'd like to do this weekend, we'll see what I manage to really do. Polished Polyglot 1st Year Anniversary and KKCenterHK Giveaway!! Hello my lovelies! Today my blog turns one year old! I'm so happy I've once decided to start this blog, it really has brought a lot to my life. It's been a wonderful year! I got the chance to learn a lot, but above all I got to meet some amazing people. Above all the benefits blogging has brought to my life there's the invaluable support, consideration, caring and friendship I was not prepared for. I'm still so surprised everyday by readers and blogger's comments. Hello dears! Ready for Day 8 of the 33 Day Challenge? Hello my lovelies, how are you today? I'm sooooooo excited because I'm preparing a surprise for you all!! But enough about it, I don't want you to guess. Let's talk make up. Last week I have spotted a new Essence collection at Manor that was really appealing to me! It is Metal Glam collection. I do not know what you think, but in my opinions Essence limited editions have been less than interesting since the past winter. But Fall always brings great collections in highend and also drugstore brands! as it seems. Or is it that I just love Fall? Well, anyway, I contained myself a little, because my instinct would have made me pick one of each. I end up buying "only" two polishes, two eyeshadows and a lipgloss. Well, let's get into some delicious news. I've recently fell in love with a product and I needed to share it with you, this is Honeymania from The body shop. I hope you're doing well, this is a quick post to show you what the OPI Holiday collection looks like. Yep, we're in October, that means Christmas is round the corner, and we only have 3 months to the new year to start! 3 months is nothing! Woooohooo! Happy Friday! guess who's happy it's Friday?! I'm loving my Fridays more and more lately. I'm so tired! Any nice plans for the weekend? I'm sooo willing to go out for dinner with my hubby. I hope we can organize the whole thing this time. Hello lovlies! Today I have one nail polish to share with you from the latest Catrice Limited edition "Thrilling me softly". The whole collection includes different makeup items and five nail polish shades, of which the only one that seem interesting to me was a shimmery deep red call C04 Allure. Allure looks lovely in the bottle, with such a satiny quality, but this is not totally translated on the nail. It looks very glossy even without topcoat and the subtle shimmer is visible. For the 5th day of this 33 Days Challenge the theme is "Mexican", which for me was undoubtedly meaning: Mariachi! I like Mariachi music, the costumes, everything is so fun. Ages ago, let me think, it was 2001... or so, I was still living in Argentina and I organised a birthday surprise to my hubby (back then we weren't married yet) with a Mariachi band, and it is one of the most wonderful memories we have of our time together in Argentina. I guess never a surprised was so "surprising" unexpected and fun! We started the evening very quietly, in a small family reunion, and chatting normally, and ended it dancing, singing like crazy and drinking tequila!